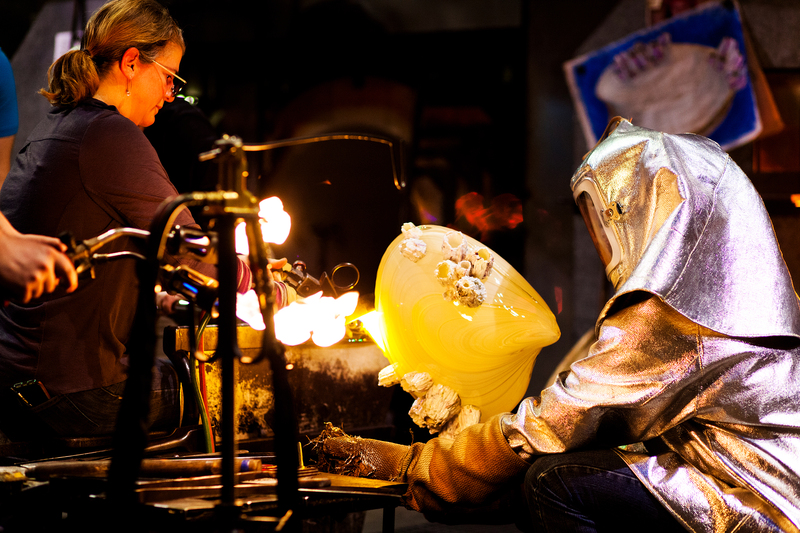 Visiting Artist Judith Schaechter will be working in the Museum of Glass Hot Shop from May 25 through 29. Schaechter is known for her use of stained glass to depict parables with religious and medieval iconography and human imperfections showcased in lavish detail. Her narrative approach finds expression in an eerie world of portraits that reference subversive imagery, carnival, the absurd, and the grotesque. 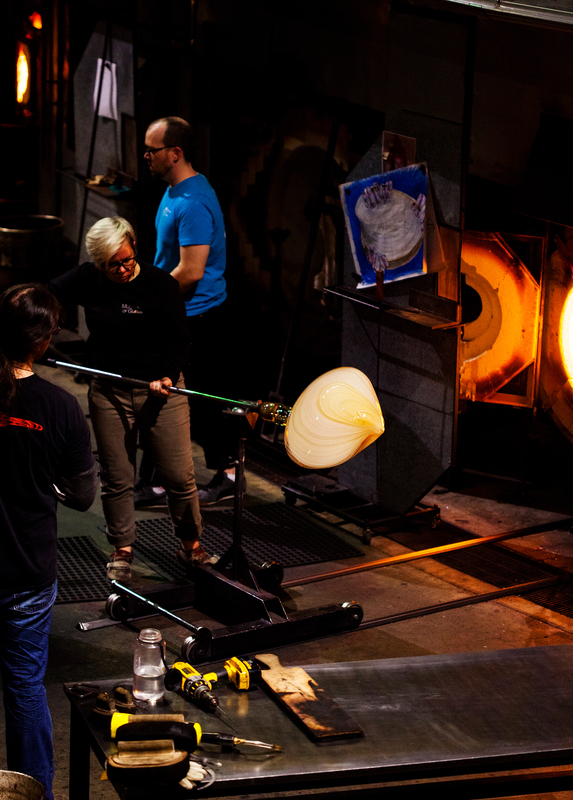 Museum of Glass recently caught up with the Visiting Artist. 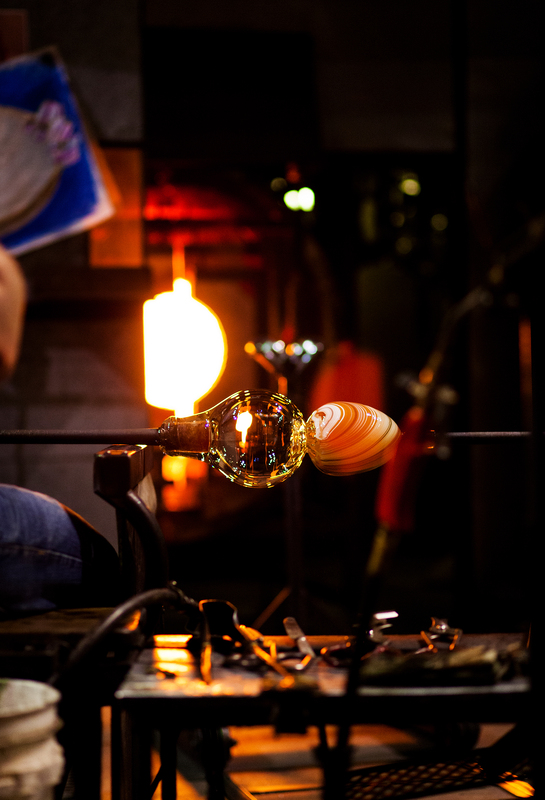 I started out at Rhode Island School of Design as a painting major, and the graduate painting studios were on the same floor as the glass shop. So, in seeking out the painters’ work, I happened upon the stained glass class and I really wanted to try it. Then I did…and I knew pretty much immediately that I wanted to do that forever. 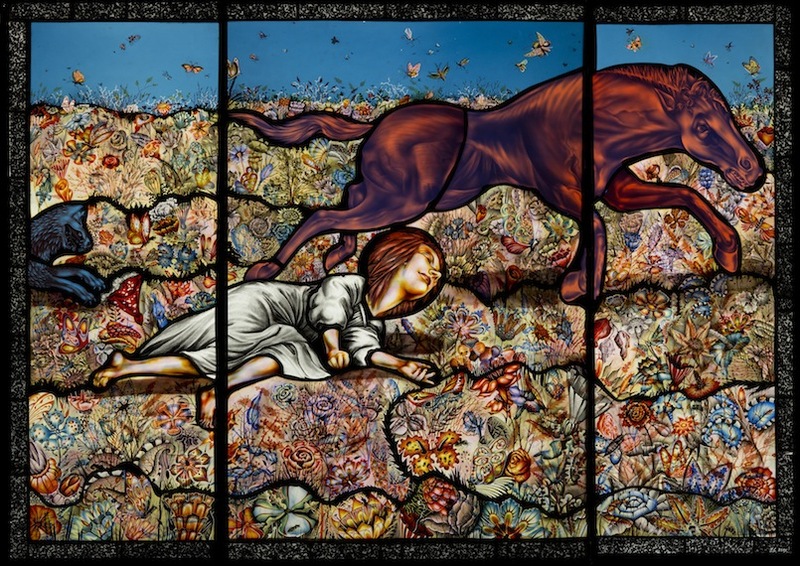 Judith Schaechter; Horse Accident, 2015; Stained glass, cut, sandblasted, engraved, painted, stained and fired, cold paint and assembled with copper foil; 33 x 45 inches; Photo by Dom Episcopo. Probably be in a parish church, somewhere in England. I really want to go to York, England, and see some of the stuff in churches there. In a curated setting, then probably the V & A Museum in London. But stained glass really looks best in churches. My laptop. I don’t really like to travel, but I like to stay connected if I do! Probably take up 3-D animation again. There are two things in my life that lured me when I got burnt out on stained glass. The first was writing (and performing) songs, the second was 3-D digital animation. I truly regretted not having another life to pursue those interests, and doing it halfway made me so sad that I actually quit both. But I grieved their loss. I also wanted to be a writer and psychologist…but that wasn’t quite as tempting as visual art. 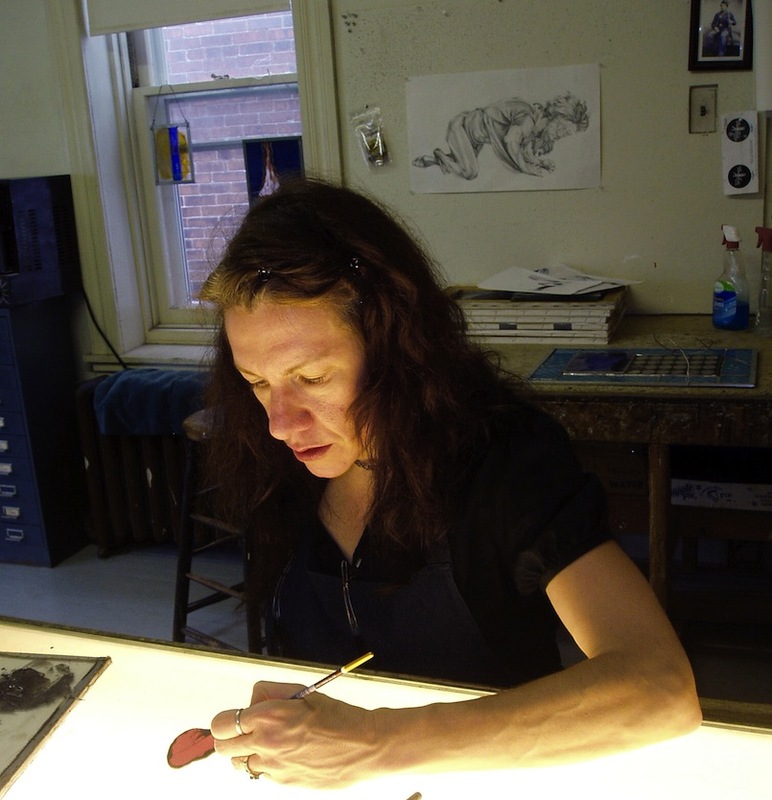 Plan a visit to Museum of Glass to see Visiting Artist Judith Schaechter working or watch her residency online. This entry was posted in Art, Artists, Glass, Hot Shop, Museums and tagged England, Judith Schaechter, Museum of Glass, parish church, Rhode Island School of Design, Stained Glass, V & A Museum, York on May 18, 2016 by Museum of Glass. 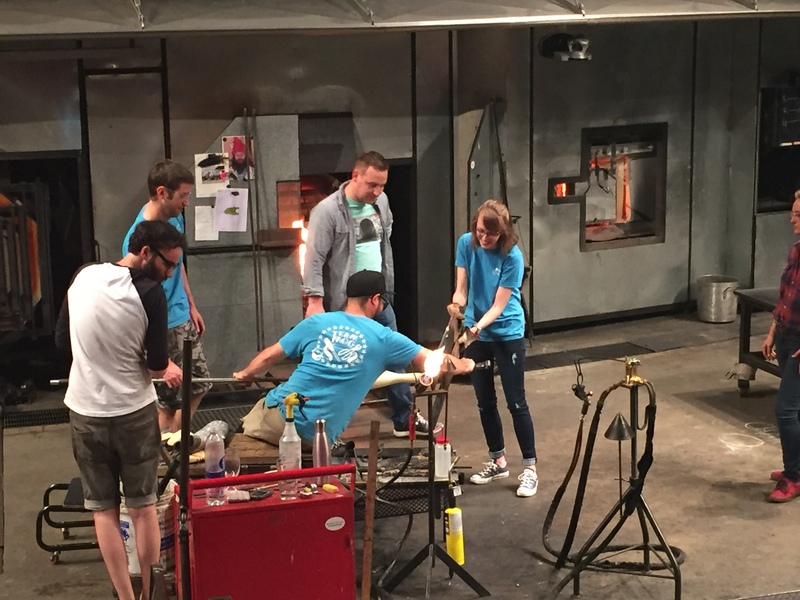 The Museum of Glass Hot Shop Team once again kindly extended the invitation to be a Hot Shop intern for the day to Museum staff – a unique opportunity that I did not want to miss. 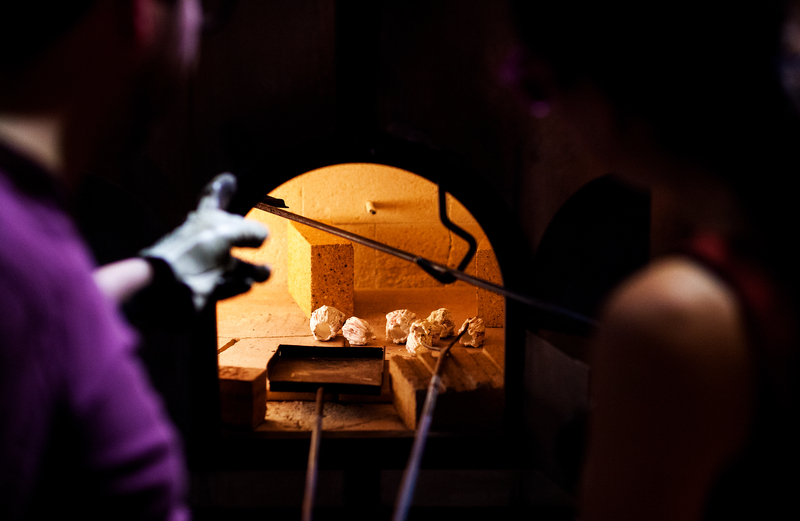 I completed a half-day internship in the Hot Shop last year, but was eager to return for a full day this time around. I spend a lot of time on the studio floor taking pictures for the Museum’s social media, so I have the opportunity to watch MOG’s Hot Shop artists up close. 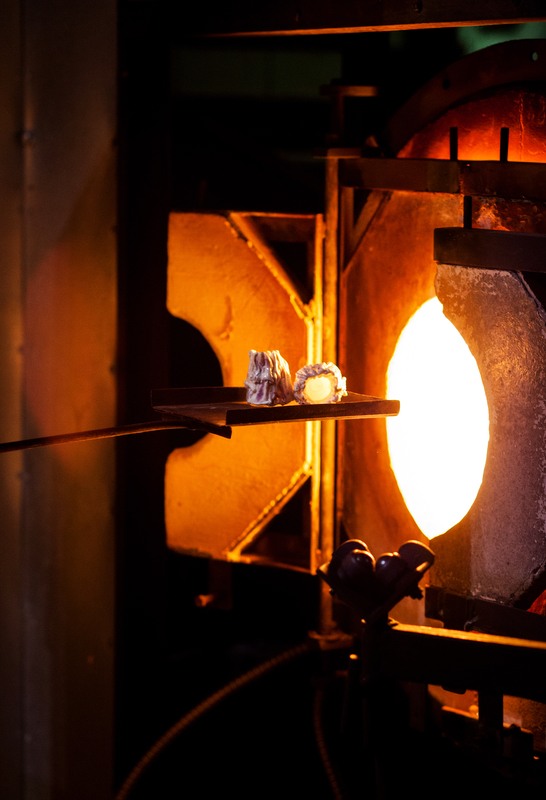 Observing them is certainly enough to make anyone admire their skills, but assisting them as a Hot Shop intern gave me a whole new appreciation and respect for their craft, talent, and teamwork. 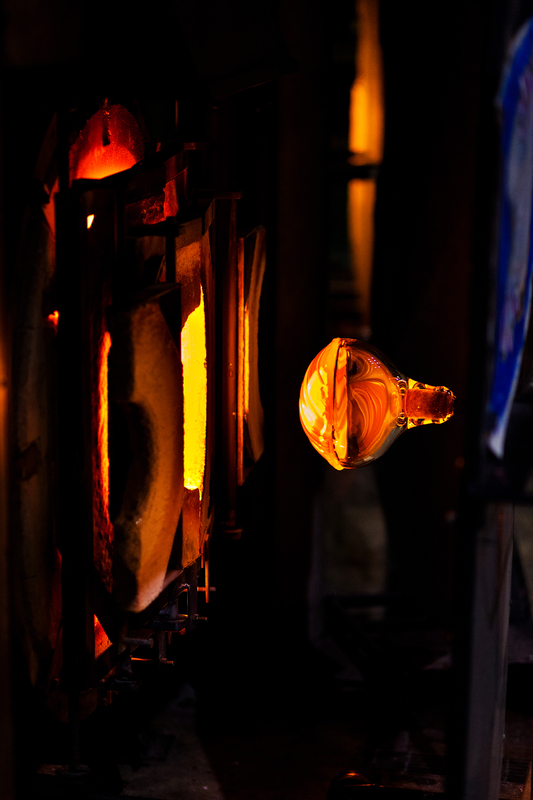 Glass is delicate. The lightest touch of a paddle can change the shape of glass – something I did not quite grasp when first told to paddle lightly or paddle hard. 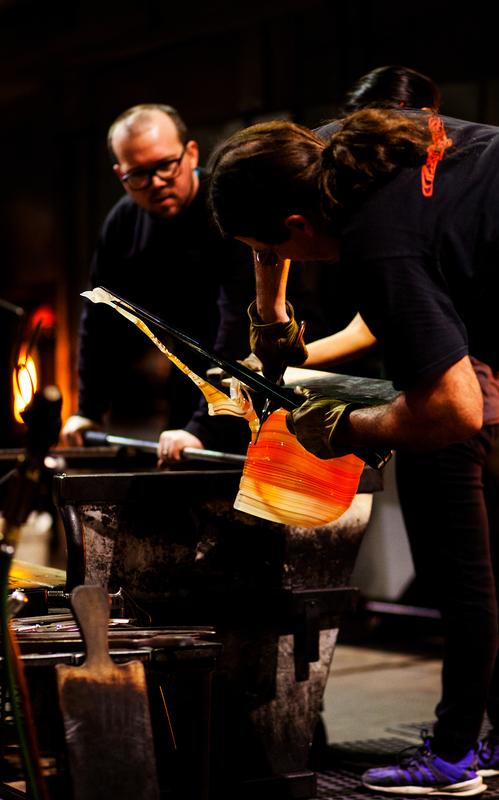 I thought I needed to push the paddle as hard as I could against the glass vessel in order to create a flat base. Turns out, you don’t need to push that hard. Timing is everything. 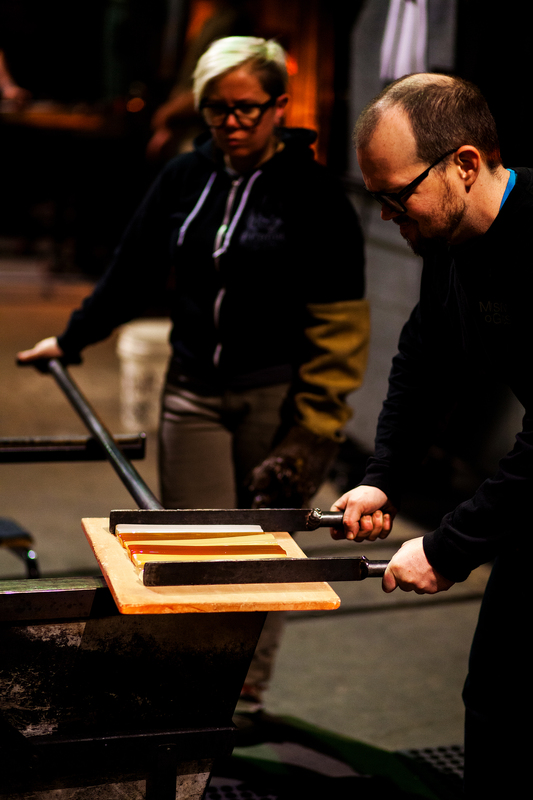 With the help of the full-time, and far more talented, Hot Shop intern, I worked with smaller pieces in the Hot Shop’s garage, transferring them from the garage to the furnace and then finally to the Visiting Artist, who picked them up to attach them to a vessel. 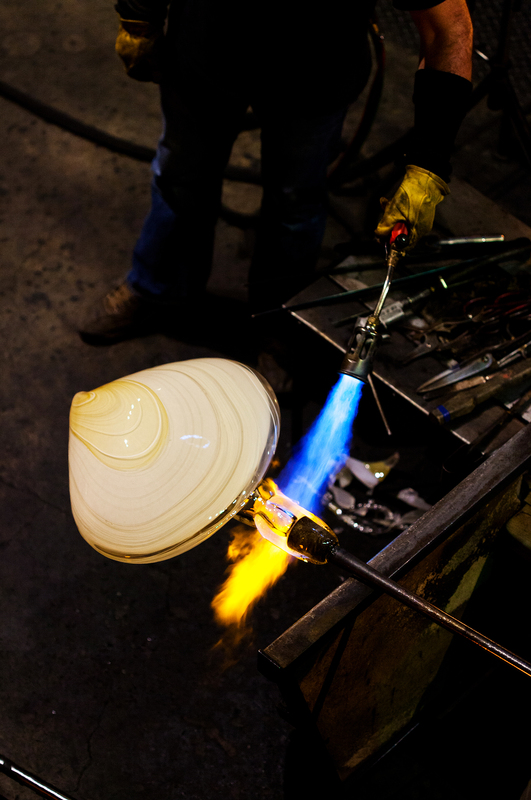 There are many moving parts in the Hot Shop, so the timing between putting the vessel back into the glory hole and getting the pieces in the garage ready had to be just right. Drink water. I know, duh. 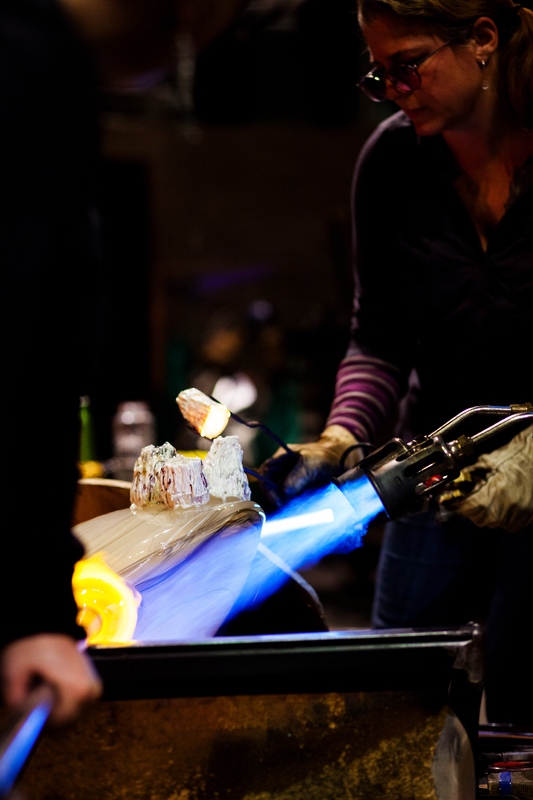 But when the temperature rises outside (thank you unusually warm Puget Sound spring…) so does the temperature inside the Hot Shop, as if it wasn’t hot enough. I was reminded to drink plenty of water, but by 4 pm, the heat was becoming exhausting. When people start to ask if you are okay because your face is turning the color of a tomato, that’s a good time to take a little break. Amber Cowan is great. 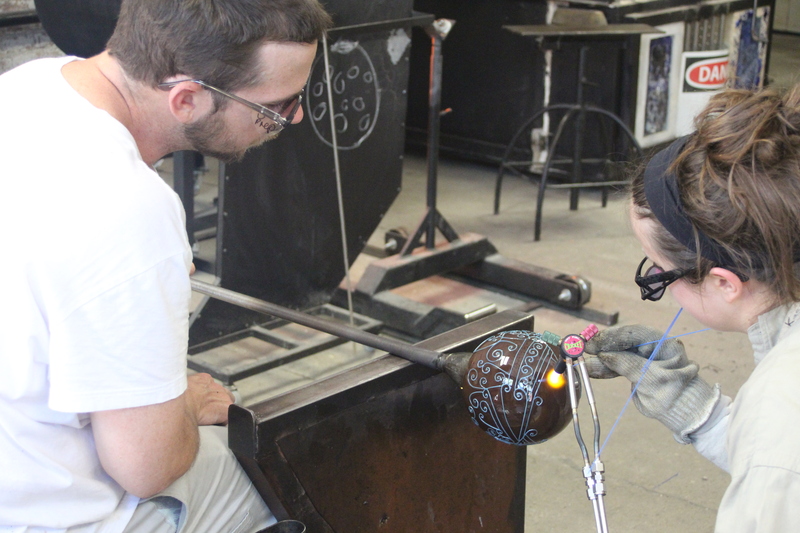 Amber Cowan was the Visiting Artist for the week, and she was nothing but friendly and encouraging when I showed up for my day in the Hot Shop. In the back of my mind I was worried that she would be concerned about me assisting, but if she was, she didn’t show it. My supervisors for the day. From left to right: Amber Cowan, Gabe Feenan, Will Bell, Sarah Gilbert, and Benjamin Cobb. 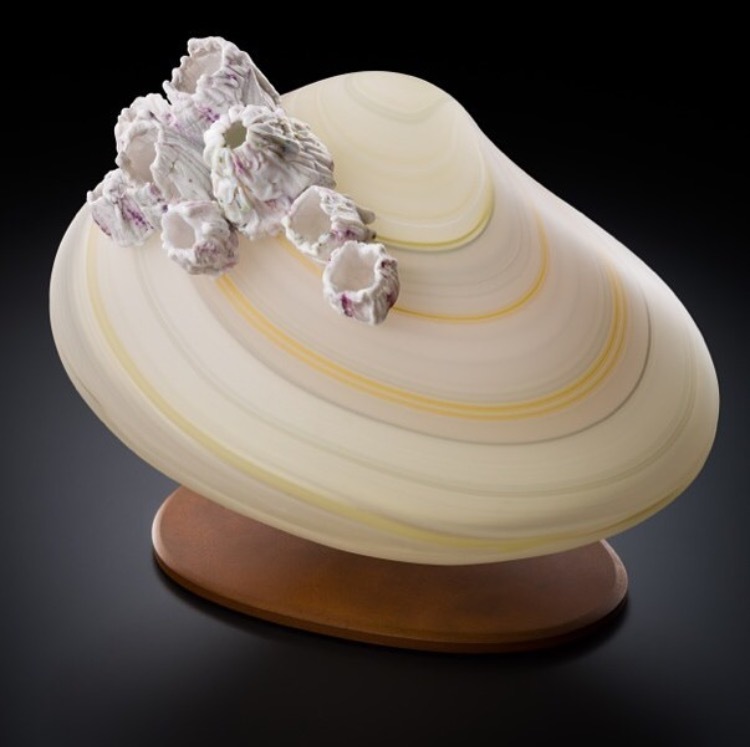 This entry was posted in Art, Artists, Glass, Hot Shop, Museums and tagged Amber Cowan, Gabe Feenan, glass, Hot Shop, Hot Shop Team, Museum of Glass on May 13, 2016 by Museum of Glass. 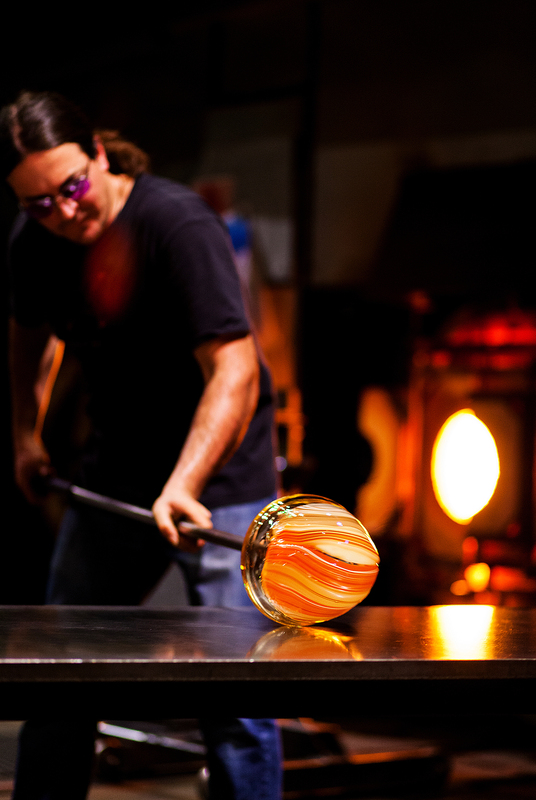 Preston Singletary will be working in the Museum of Glass Hot Shop from May 11 to 15. 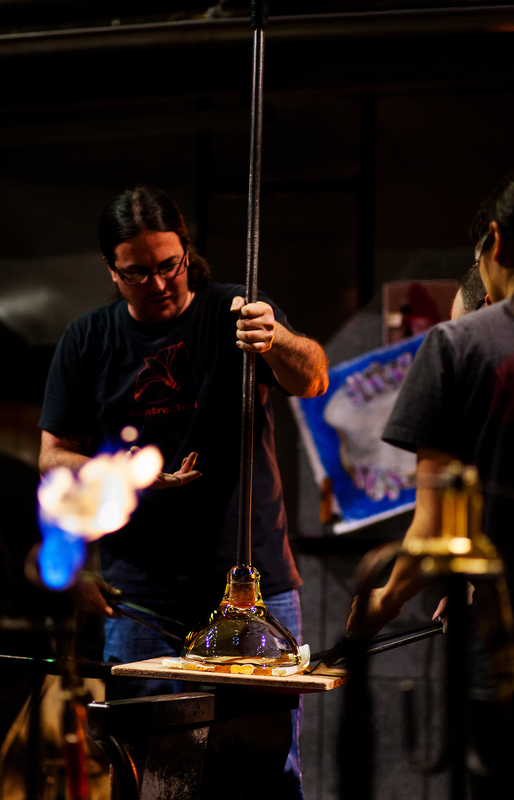 Museum of Glass caught up with the Visiting Artist before his residency to talk a little about glass, family, and music. I got a job at Glass Eye Studio in 1982. I started as a “night watchman” filling the furnaces up and sweeping the floor. 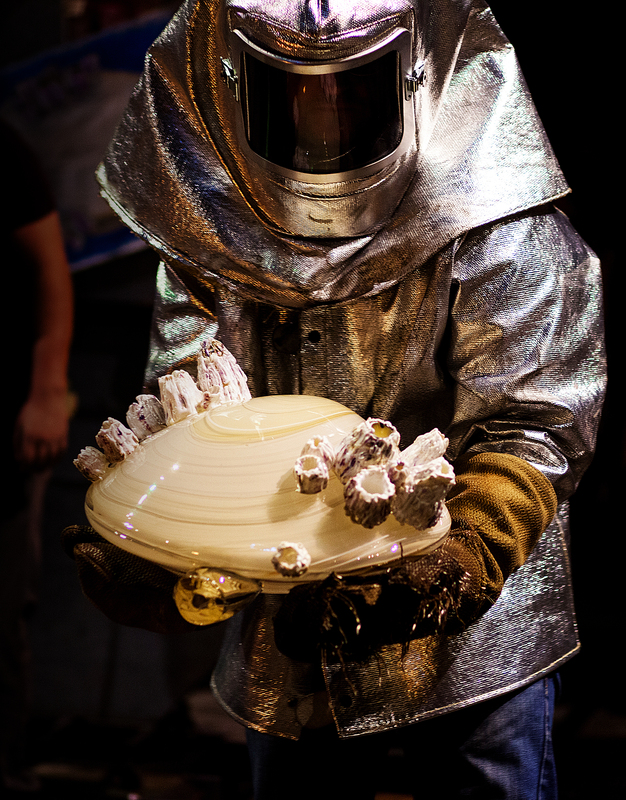 I started on the production floor four months later and made Christmas balls and paperweights. 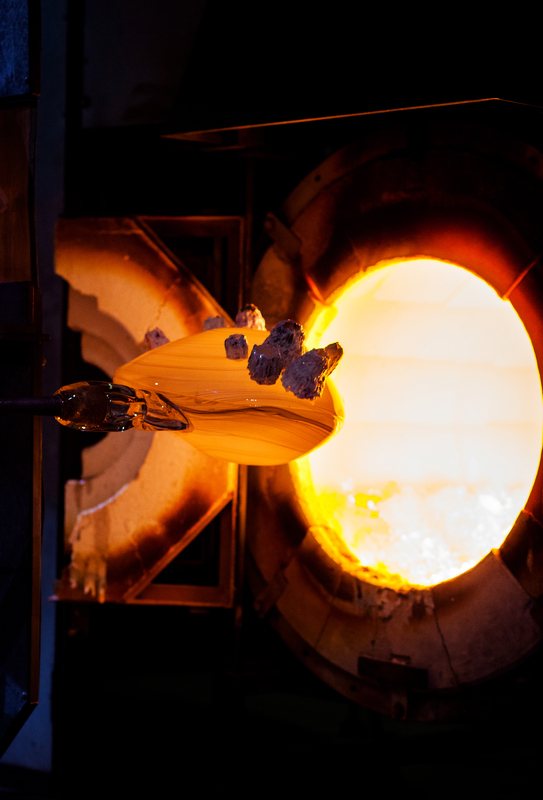 When I figured out how to connect my glass making to my Tlingit Alaskan Native heritage. It opened up many new perspectives and connected me to my roots. I’m busy being a father and raising my two youngest kids. I also moonlight as a musician. 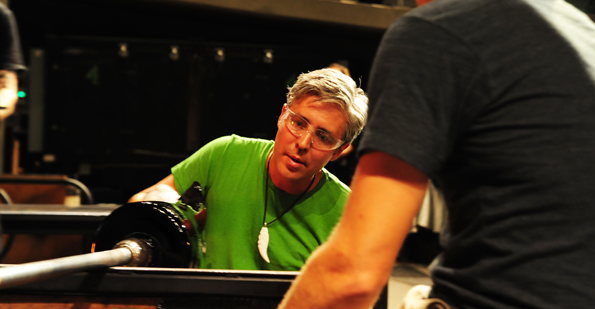 I have been recording two different projects which connect to Tlingit culture in a contemporary way, the same way my glass does. Alaska to work on a piece I had installed last spring. 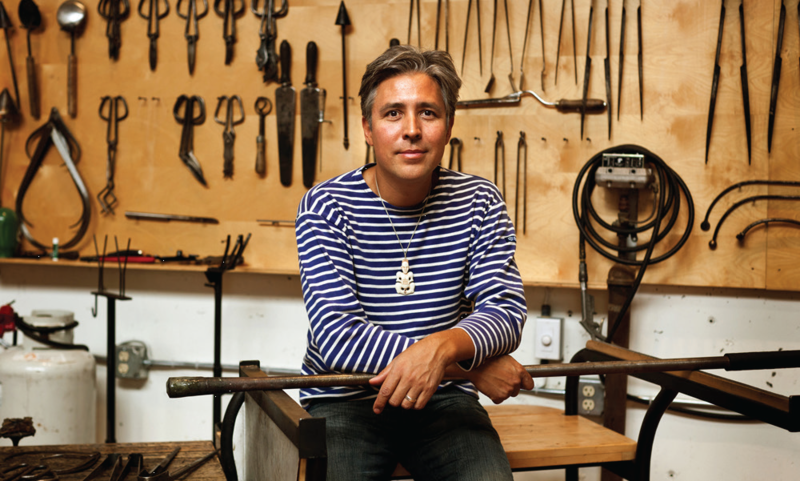 The community of artists and musicians. It’s a beautiful place that I’ve never found a reason to leave! 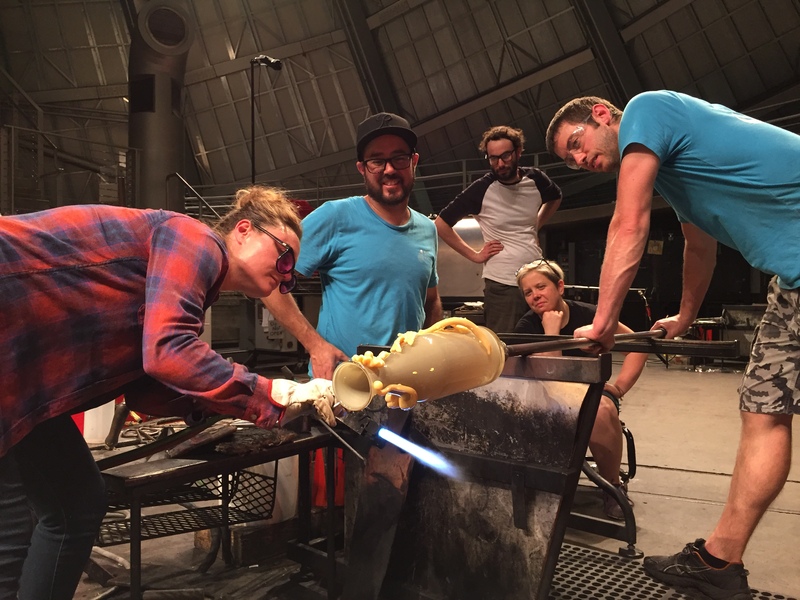 Plan a visit to Museum of Glass to see Visiting Artist Preston Singletary working or watch his residency online. 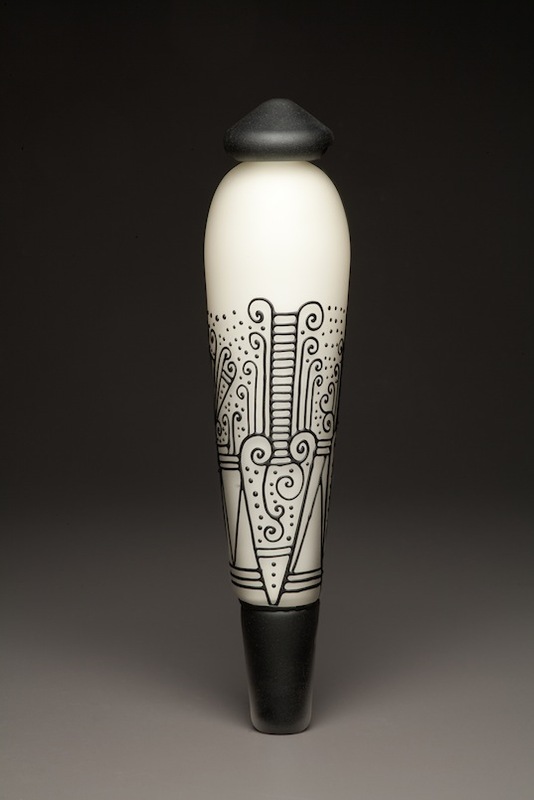 This entry was posted in Art, Artists, Glass, Hot Shop, Museums and tagged Alaska, glass, glass art, Hot Shop, Museum of Glass, native, Pacific Northwest, Preston Singletary, residency, Tlingit on May 9, 2016 by Museum of Glass.